Rolls Royce – maker of some of the most iconic and exciting cars in history known for oozing luxury fit for the Royals. Literally, fit for the Royals. Rolls Royce now has its first-ever purpose-built SUV, a shot at taking on its archrival the Bentley Bentayga whilst catering for customers wanting to join the SUV hype without abandoning their loyalty. The Rolls Royce Cullinan is the result of opulence meeting practical 4×4. Taking its name from the world’s most royal diamond, Rolls Royce’s first attempt at a luxury off-roader has proved worthy of its title. The Cullinan cocoons Rolls’ typically empowering cabin, seating passengers high up, with a view down the bonnet of Eleanor, the Spirit of Ecstasy ‘Flying Lady’ mascot. Rear passengers are seated higher up than those in front in either a lounge configuration or homed in individual chairs with a cool box and whisky glasses set-up, providing the ultimate magic carpet ride. You’ll find the reworked version of the Phantom’s twin-turbo, a 6.75-litre V12 engine firing up the Rolls Royce Cullinan from 0-62mph in 5.2 seconds, making a mighty 563 bhp and 627 lb ft of torque. Even with the addition of 22-inch wheels, it’s nimble and has a surprisingly tight turning circle. To add to the lengthy list of driving qualities, it provides a quiet drive, thanks to soundproof fitted to every surface and under every panel. Despite prices starting at £250,000, the first year’s production is already sold out well ahead of first deliveries in early 2019. 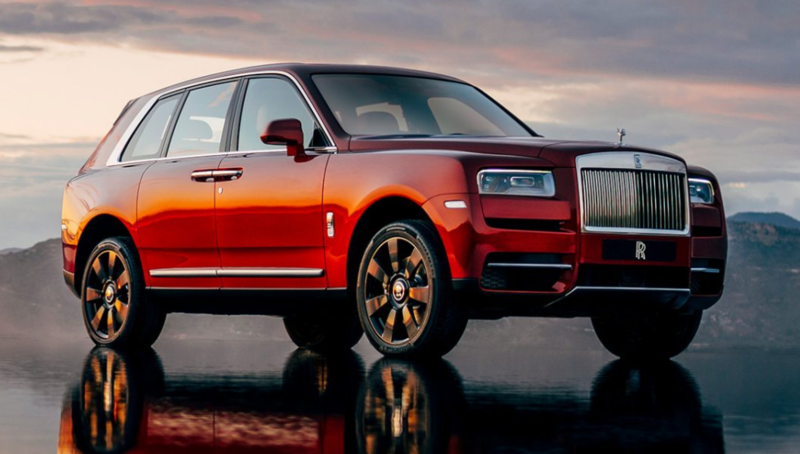 Rolls agree the Cullinan is likely to become their best-selling car on offer. Most customers are expected to pay double the base price, at least £500,000 by the time they have added bespoke touches and extras, a huge new avenue of profitability for Rolls-Royce. Hippo Prestige is here to provide for all your prestige motoring needs. If you are looking for a car that will stand out on the road, browse our stock online or speak to us today by calling us on 01254 916450.